You'll be £4.99 closer to your next £10.00 credit when you purchase Jewish Lives. What's this? 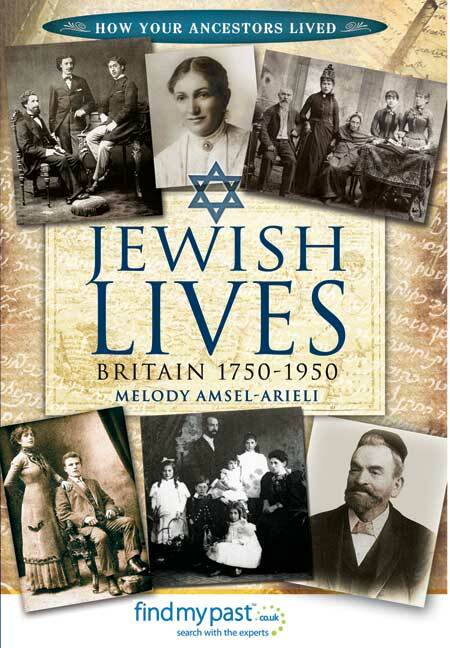 Jewish Lives presents the life-stories of ten individual Jews who immigrated to Britain between 1750 and 1950, based on actual genealogical research. Their life-stories, enriched by a variety of sources, reflect the experiences of all Jewish immigrants as they settled in their adopted land. Melody Amsel-Arieli does not just piece together the detail of their lives - their work, pastimes, families, daily chores, food and celebrations. Drawing on social, economic and historical records, she also explores their background, places of origin, motives for immigration, arrival in the UK and experiences as they adjusted to their new surroundings - placing them in the wider historical context of their adopted community and society. This selection of revealing life-stories will prove fascinating for family historians and researchers, Jewish and non-Jewish alike, by offering parallels with their own lives and the lives of their ancestors. Jewish Lives: Britain 1750-1950 will inspire readers to pursue their own quest for information and understanding of their past. This is a book that will surely inspire readers to delve into their own ancestral history and to explore general history with a deepened interest. A fascinating book for family historians, allowing them to see how researching their ancestors can pull life-stories together. Jewish Lives offers a guide to family historians who want to reconstruct their family trees. Invaluable guide to other Jews in search of their roots. Each tale is based on research shared by a descendent, so sources vary from official documents to diaries and memories, adding a rich, personal dimension. Melody Amstel-Arieli is a prolific writer on matters genealogical and historical, but in this book her expertise in both fields shines out. For anyone researching his or her own immigrant family, Jewish Lives really is a must-read. History can be dull or it can weave past to present. This work is of the latter type. If you start to doze at the mention of genealogy, change your mind immediately. The voluminous research that went into creating this seamless series of narratives is admirable and the range of subjects - from Portuguese to German to Polish Jews - is comprehensive. Each distinct vignette serves as a model and anyone who appreciates the dearth of family records and published historical works on the subject of how Jews lived through these centuries will be glad to read the author's reconstruction of a hazy yet important and little known past. How did Jews earn a living? What induced them to change names and yet keep Jewish customs? What were the social supports of the community in various periods? Amsel-Arieli draws creatively on extensive bodies of research as she clarifies Jewish life in England over two hundred years. Impressive bibliographies and notes should assist scholarly readers while clarity of writing and chapter format make this work accessible to students writing book reports and doing historical research for school assignments. Whether you're interested in genealogy or history, or just enjoy diving into some compelling life stories, this book is for you. The author does a beautiful job of describing the lives of ten Jews who immigrated from various countries to Great Britain (one of whom happens to be my great-great grandfather, Ksiel Pelikan). We get to know not only their individual stories, but also the historical context in which they lived, both in Britain and in their countries of origin. As an added bonus, each chapter contains a detailed description of research sources and methods, which will be invaluable to any reader who's interested in exploring his or her own family history. I highly recommend this book. A comprehensive list of sources that will be an invaluable guide to other Jews in search of their roots. A snapshot of this unique community. The author pieces together rich pictures of the lives in question. A collection of ten extended case studies, each of which illuminates a different place of origin and type of livelihood. The methods and resources vary widely in each case, and are aided by research from descendants of the individuals discussed.